A deep amber color. On the nose, musky aroma, winey (vieux Sémillon), with a touch of acetic notes. On the palate, the first notes have a predominance of nutmeg and licorice. The finish is quite short. 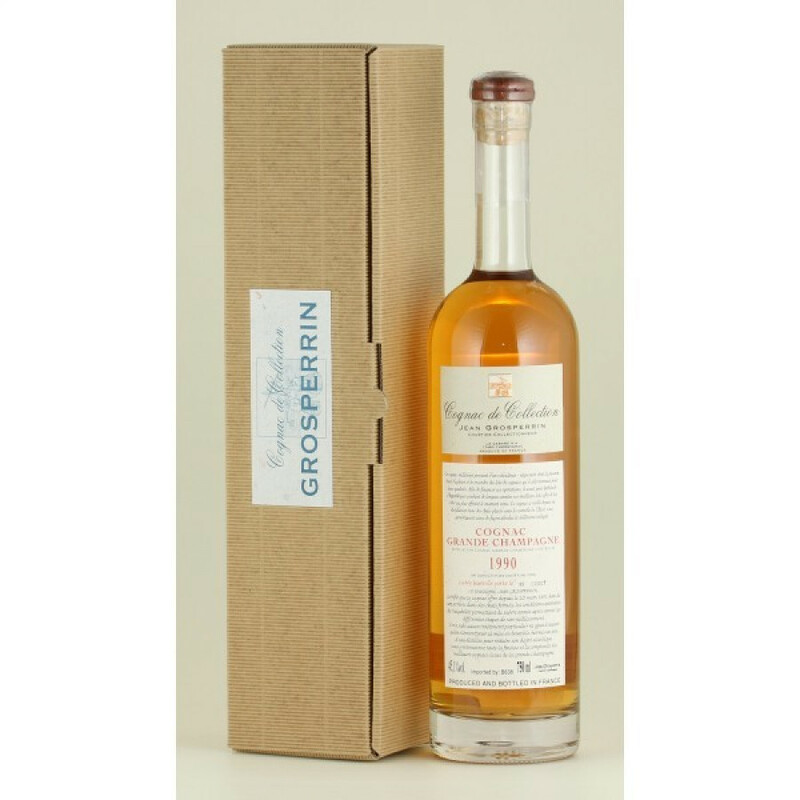 Grosperrin Millesime 1990 Cognac is a somewhat rustic cognac with a charm all of its own. One in the range of Grosperrin vintage cognacs, this is created from the 1990 harvest from the Fins Bois terroir of the Cognac region. The house of Grosperrin is reputedly the oldest of all the house (with roots back to the 17th century), and they specialize in producing great quality, old, and vintage cognacs firmly designed with the connoisseur in mind. This one certainly won't disappoint and, for a cognac of this age and quality, represents outstanding value for money. Tasting review by Hine Cognac: Jubilant citrus tones yield to the softer redolent aroma of acacia. Tangy cherry nuances present a youth still burning with adventure, tempered by the sharp notes of yellow-fleshed grapefruit.